With this blog post I want to highlight the onboarding process at Dynatrace, which is hard to find somewhere else. You start your first day with the equipment on your desk and instructions on how to log in to your calendar. This calendar already contains a set of onboarding sessions that help you exploring Dynatrace. In each session, a lead from the various teams is talking about the role of the group and explains with different stories how everything started and grow to the company you are now part of. Great input and funny stories that still stick in my head. 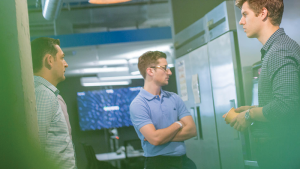 Six weeks after joining Dynatrace I got the opportunity to attend the Pivotal Partner Days in Chicago and to have an on-site meeting with one of our customers who is running Pivotal Cloud Foundry (PCF) on multiple foundations. I really felt appreciated when I got this chance since it is not self-evident that one will be sent to a customer and partner after that short amount of time. The week at the Pivotal Partner Days and the customer meeting were focused on Cloud Foundry and provided deep dives into such cloud environments. This perfectly supported onboarding from a technical perspective. 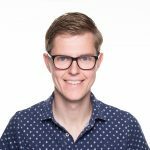 How customers use Dynatrace to monitor Cloud Foundry? Before the Partner Days got started, I met Mike Villager and Timothy Zielinski for an on-site meeting at one of our customers. The meeting was divided into two blocks: one with the dev team and the other one with the ops team who are using Dynatrace to monitor their PCF foundations. 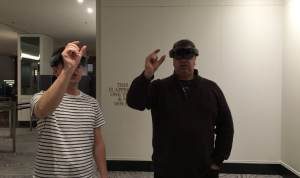 At the beginning, Mike demonstrated our UFO and its capabilities to perfectly fit in an agile development world. Afterwards, we discussed issues that come across with respect to the size of their PCF environments and shared best-practices therefore. Finally, I could present an outlook of upcoming features and how Dynatrace will address Cloud Foundry monitoring. All in all, the entire meeting was filled with valuable insights in how Dynatrace and Cloud Foundry are used in the field. At the Pivotal Partner Days venue, a warm and friendly welcome from Marina Joseph and Andrea Nodari was waiting. After some introductory talks and breakfast, we jumped right into PCF and got training on what it means to build cloud-native applications as well as operate such a cluster. On day one of the actual software integration workshop, I was assigned to Kevin Takenaga, a Pivotal engineer, to build a PCF integration that eases the use of Dynatrace for Cloud Found full-stack monitoring. Based on great input from Kevin and his colleagues, we achieved our goals and could show a good process in the demo session at the end. Again, I want to say thank you to all Pivotal partners, who brought in their rich expertise and were responsible for that event. 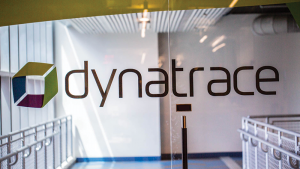 To summarize this blog post, I want to highlight that Dynatrace offers an amazing onboarding process to become a Dynatracer and to get familiar with the processes you need for your daily-business. Besides, you get great support in learning new and emerging technologies.